Boulder, Colorado. 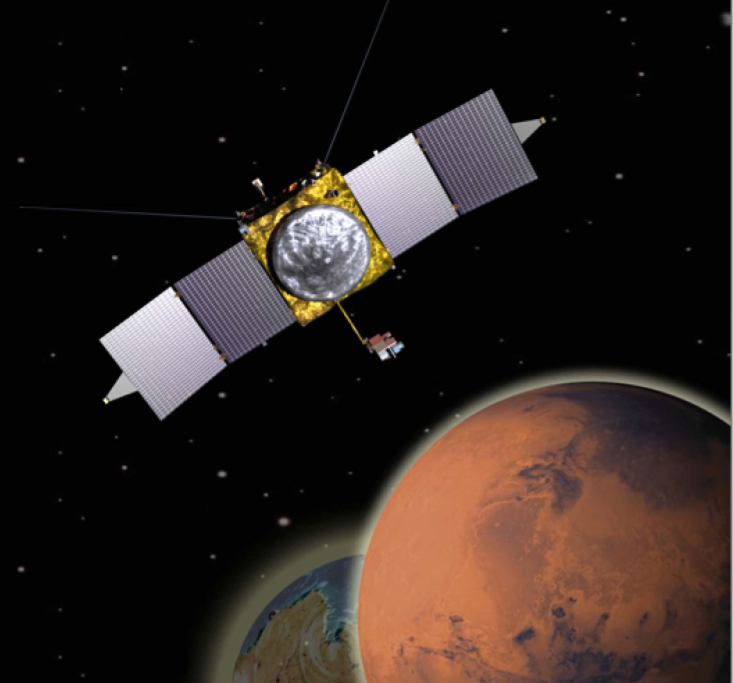 September 16, 2014 – The Laboratory for Atmospheric and Space Physics will host a special event for the Mars Atmosphere and Volatile Evolution (MAVEN) Mars orbit insertion on September 21, 2014 from 7 – 9 p.m. (MDT). CU-Boulder is leading NASA’s Mars Atmosphere and Volatile EvolutioN, or MAVEN mission. The event is free and open to the public, although seating will be limited. The doors will open at 6:30 p.m. and there is free parking. From 7 p.m. to 7:30 p.m. there will be brief presentations by four LASP researchers on the mission: MAVEN Remote Sensing Package Manager Mark Lankton; MAVEN Extreme Ultraviolet Sensor Lead Scientist Frank Eparvier; MAVEN Science Data Management and Co-Investigator David Brain; and MAVEN Imaging Ultraviolet Spectrograph team member Mike Chaffin. Mission scientists will update attendees on mission status and discuss the orbit insertion process in conjunction with the live NASA TV broadcast. The orbit insertion, expected to last 34 minutes, will begin at 7:50 p.m. and end at 8:24 p.m. The MAVEN mission launched successfully on November 18th, 2013 from Cape Canaveral Air Force Station. After 10 months of travel, the spacecraft is preparing to make its most important maneuver of the mission, when its velocity will be decreased by over 1,200 m/sec in an effort to draw itself into the gravitational pull of the Red Planet. The primary goal of NASA’s MAVEN mission is to understand how the climate changed from a warm, wet and potentially habitable environment for life several billion years ago to the cold, dry and inhospitable planet observed today, according to CU-Boulder Professor Bruce Jakosky, principal investigator on the mission. Parking and admission for the event are free in lots surrounding the LASP Space Technology Building, although seating and capacity are limited. Light refreshments will be served. For more information, visit the LASP Website. In addition, there will be a watch party at the Denver Museum of Nature & Science at 7 p.m. on Sept. 21 regarding the MAVEN orbit insertion. The program will include live NASA TV coverage and a science panel hosted by museum Curator of Planetary Science Steve Lee and which will involve CU-Boulder MAVEN science team member Justin Deighan as well as representatives from Lockheed Martin Space Systems in Littleton, which is leading MAVEN mission operations, and United Launch Alliance in Centennial, which provided the launch vehicle. Admission to the Denver Museum of Nature & Science MAVEN event is $8 for members and $10 for nonmembers. Tickets for the event, to be held in Ricketson Auditorium, are available at www.dmns.org/afterhours or by calling 303-370-6000 between 9 a.m. and 5 p.m. daily.